TESS AND JAX'S are sold out. Don't forget to 'like' our Switchgrass Kennel Facebook page. 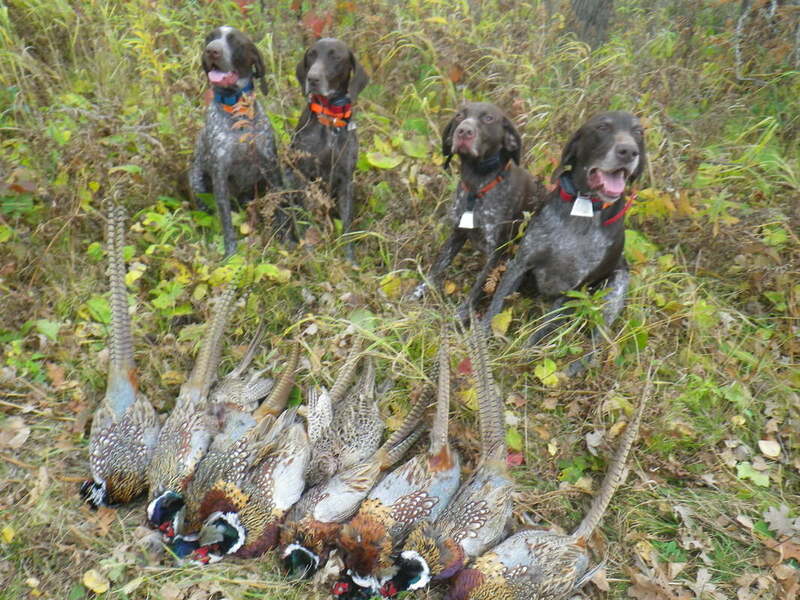 We have been hunting with this line of shorthairs for 30 years. Our dogs are Big Island / von Greif type of shorthair.Our goal even though we only have a litter or two a year is to keep as much Big Island in the as we can. As good as these dogs are in the field they are just as good in the home. We could not be prouder of our pups. October 2017. From left to right: Lucy and Sadie,(Dandy daughters) our Tess back in action after her spring litter and our recently retired Dandy. All living the good life.